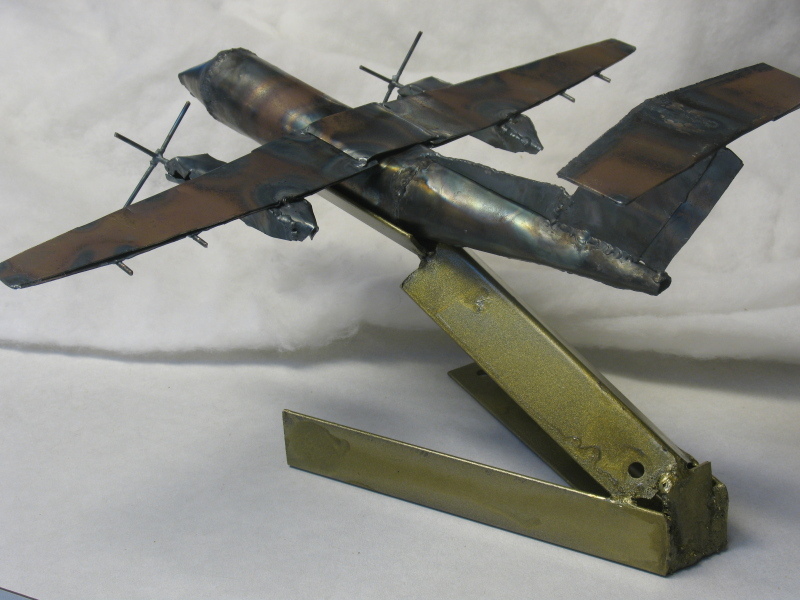 This was a request for a scale model of the Canadian de Havilland Dash 8. 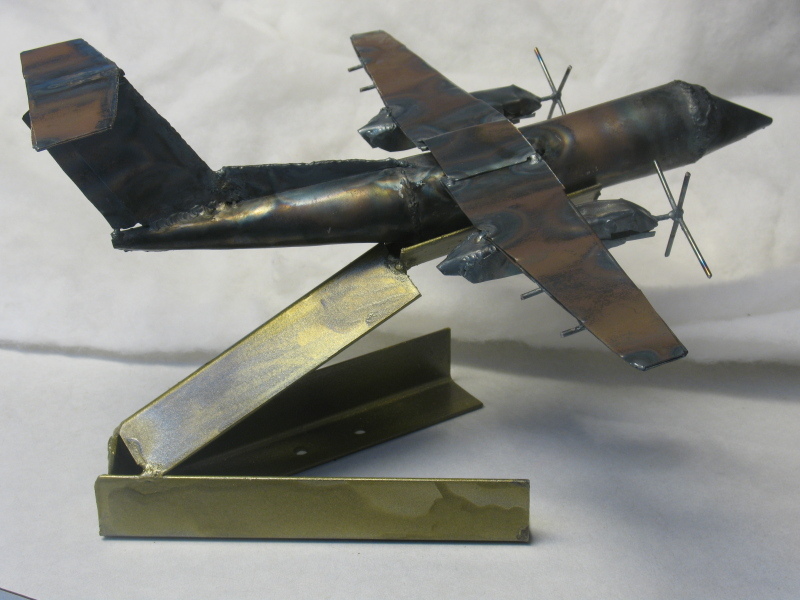 It took me quite a while to do, and with a wingspan of 18", it used up quite a bit of metal as well. I made the base out of some angle iron and spray painted it gold with some leftover metallic paint. Truly great Josh! I love this piece! it looks awesome! Will show kleeeeeeb when i see him!